Australians tend to produce a lot of waste. In fact, the Australian Bureau of Statistics reports that the average Australian produces about two tonnes of waste every year. 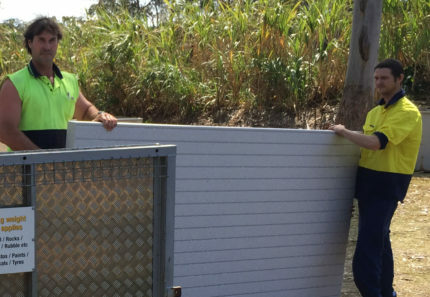 Because of this, waste removal in Brisbane is increasingly becoming a difficult and expensive problem to tackle. Fortunately, there is a way to avoid this growing problem – by reducing, reusing and recycling your waste. As a professional rubbish remover, I thought that this would be a great time to offer you some of my tips on how to reduce, reuse and recycle your waste. Continue reading this article to find out how you can reduce, reuse and recycle your waste. 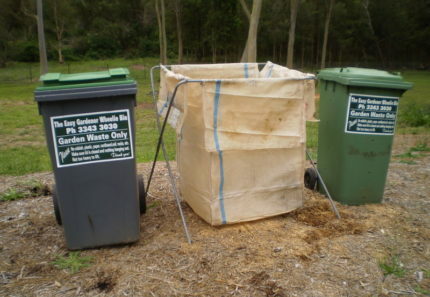 By doing so, you will help with Brisbane’s waste removal problem and be more environmentally friendly in the process. You must always look for ways to reduce the amount of your waste before thinking of reusing or recycling. Reduce the use of plastic bags and avoid purchasing non-recyclable materials. You should also try to choose products that eliminate new waste from being generated. Go for products that have minimal packaging and choose items that you can use productively. Reducing is the number one solution for waste removal in Brisbane. However, I’m sure you’re thinking that you cannot reduce waste completely. While this is true to a good extent, you can definitely reduce waste simply by making wiser choices. Always try and choose products wisely to limit the amount of waste you produce. I commonly hand out this piece of advice to customers who would rather hire a Brisbane waste removal company than reduce their waste to start with. You’ll be surprised to know that a large number of items that you often discard as waste can be reused. I’m not just talking about bottles and containers, but envelopes, cardboard, packaging and many other items – these can all be reused. When you purchase products, look for items that can be refilled, reused or recycled. Try and repair items instead of replacing them, use rechargeable batteries and any other items that you can use more than once. Also, before you think of throwing away your waste, take a good look at it. You’ll probably find a lot of items that can be reused. Even if you don’t want to use them, you can always donate them to charities. Reusing products is really helpful solution to reduce waste and also save you money by reducing the need to engage companies that specialise in waste removal in Brisbane. Recycling is the preferred and most environmentally friendly way of eliminate waste in Brisbane. By recycling products, you will cause less waste to be sent to landfills and incineration plants. This may seem small, but it makes a huge positive impact to the environment. Recycling of products is an easy process. First of all, whenever you buy goods, choose products that can be recycled over those that cannot. This information will be stated on product labels. 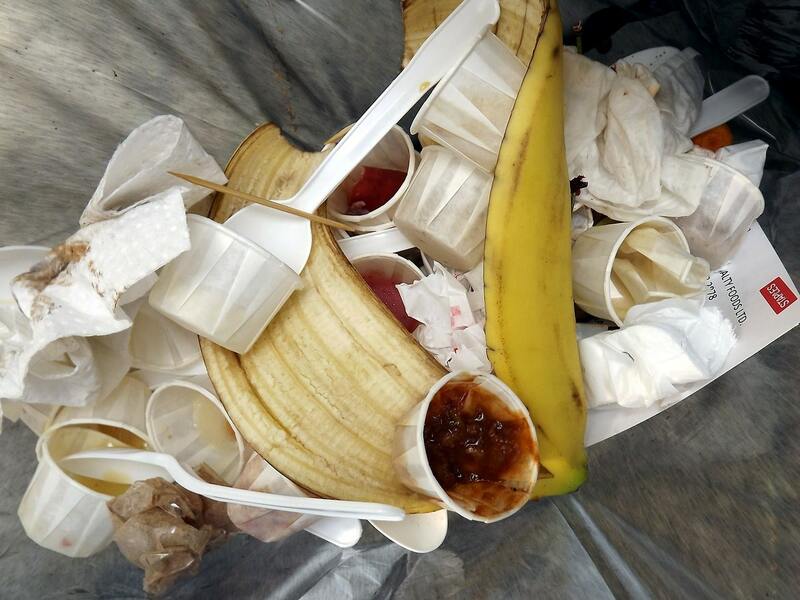 When you have to remove waste, don’t discard recyclable waste with other rubbish. 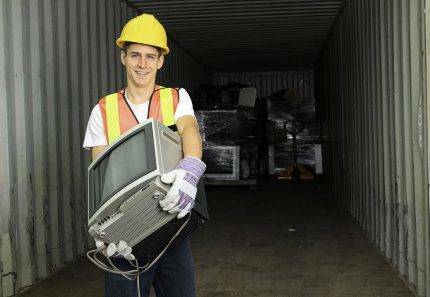 You should separate all recyclable waste and ask Brisbane waste removal professionals, such as 4 Waste Removals, to collect it from you. We’ll take all your recyclable waste to the nearest recycling depot for proper treatment. Excess waste is a problem all over the world, as it is in Australia. One way to battle the growing problem of reducing waste in Brisbane is by reducing, reusing and recycling. You must reduce the use of non-recyclable products and try and reuse items as much as possible before disposing them. Also, make sure to buy products that can be recycled rather than those that cannot. To dispose your waste properly and in an environmentally friendly manner, count on us at 4 Waste Removals. 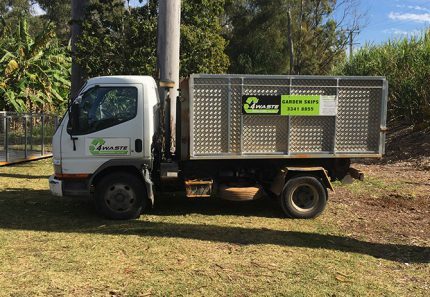 We specialise in proper waste removal in Brisbane and are more than equipped to take care of your needs. Give us a call on 07 3343 3030 to speak with one of our staff.